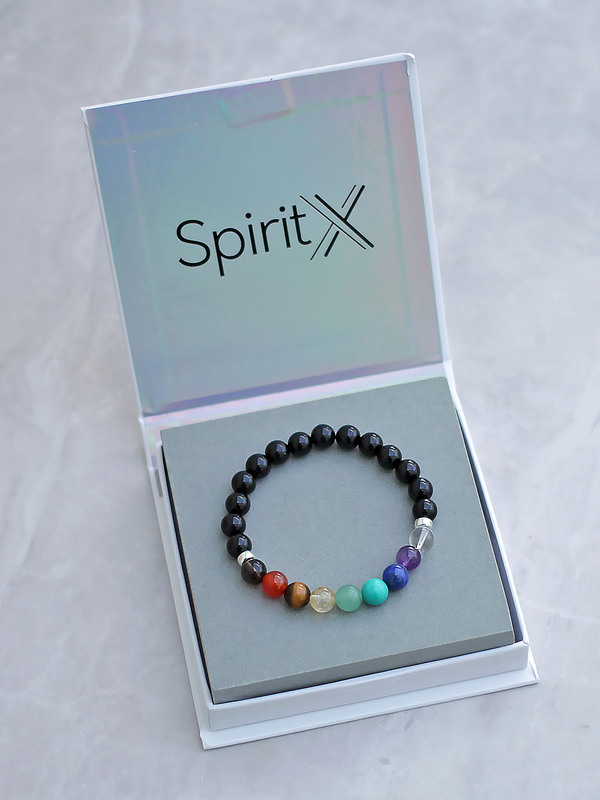 Take your Chakra understanding, balancing and healing to the next level, with the Spirit Connexions 9 Chakra bracelet. 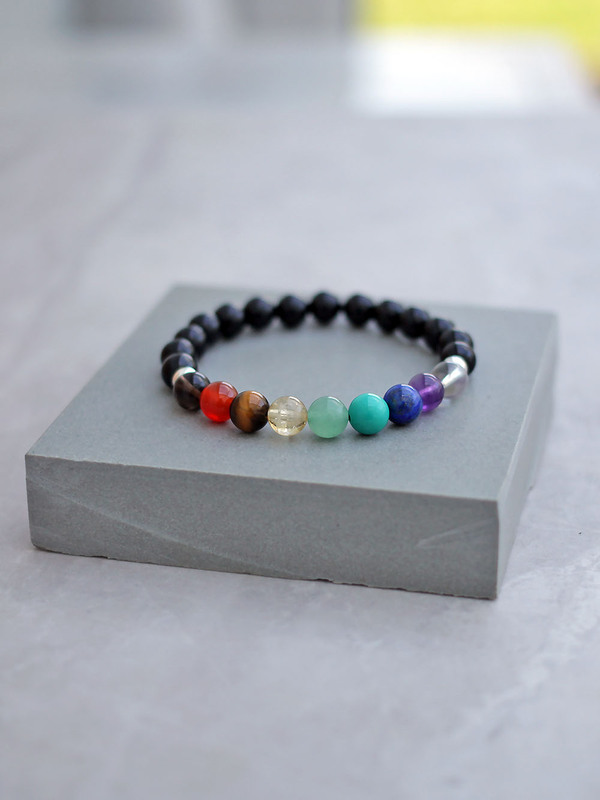 With seven of our primary Chakras within the body, there are two more very important Chakras, which you can work with to further enhance your spiritual practice. Those additional Chakras are transpersonal (outside the body) and are named the Earth Star (below the feet) and the Soul Star (above the head). 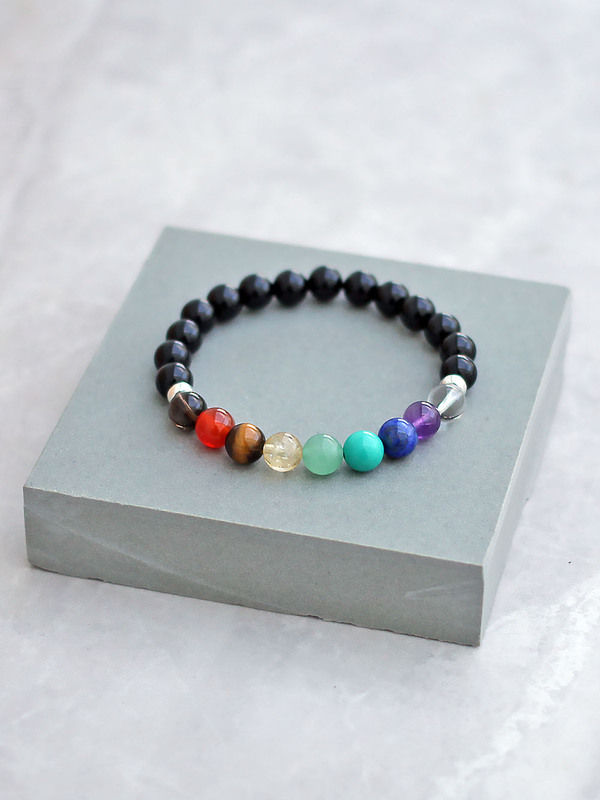 Importantly, the colours of the stone and the metaphysical properties of the crystals are in the correct order. 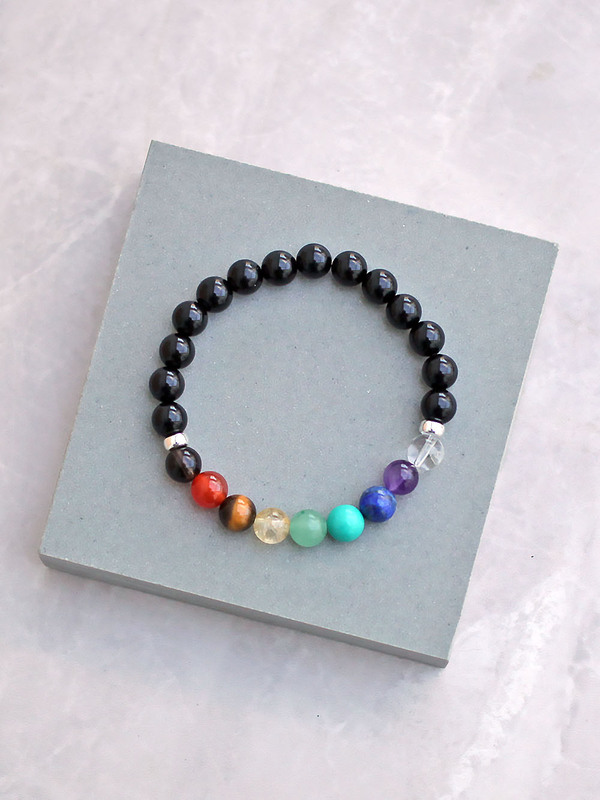 On either side of the 9 Chakra stones are sterling silver spacers. With the remainder of the bracelet made from Black Onyx. 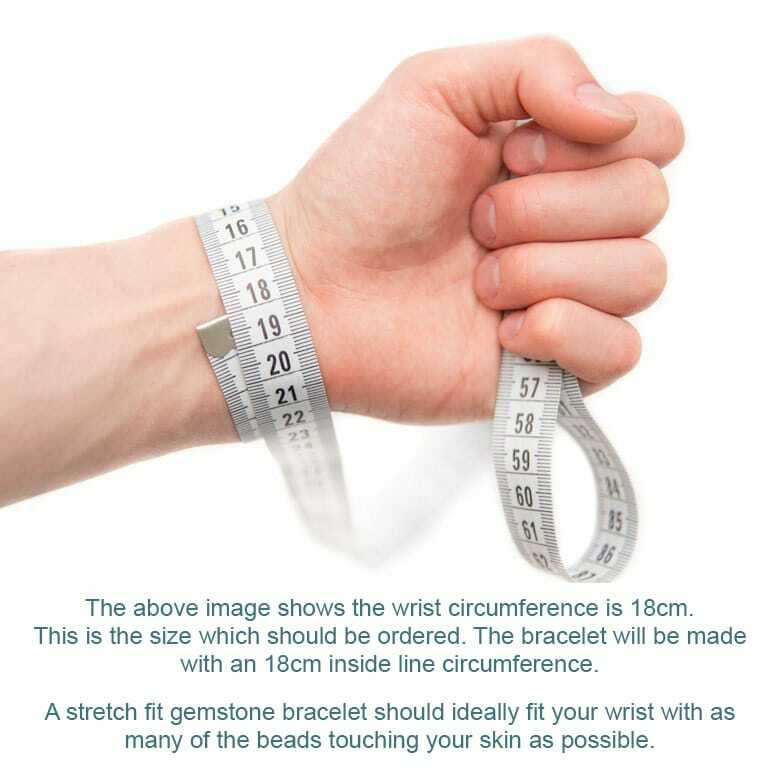 All of the stones are 8mm in diameter and are Grade A quality genuine. 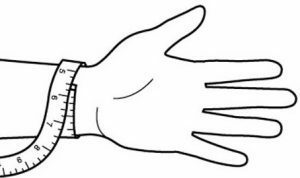 The stretch cord we use is 1mm nylon cord, not the poor quality fibre string you’d find being used on inferior bracelets.